Gluten-Free, Grain-Free, Vegan and Paleo-Friendly... these cookies are loved by all, all year long! 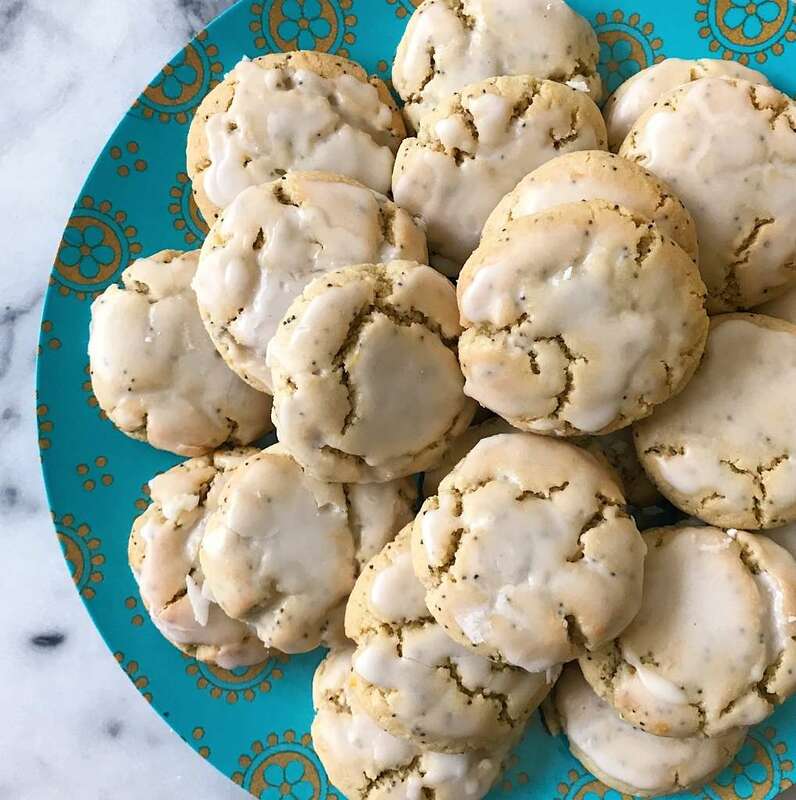 We make these Soft Baked Lemon Poppy Seed Cookies all year round because they always brighten the day and are total crowd pleasers! 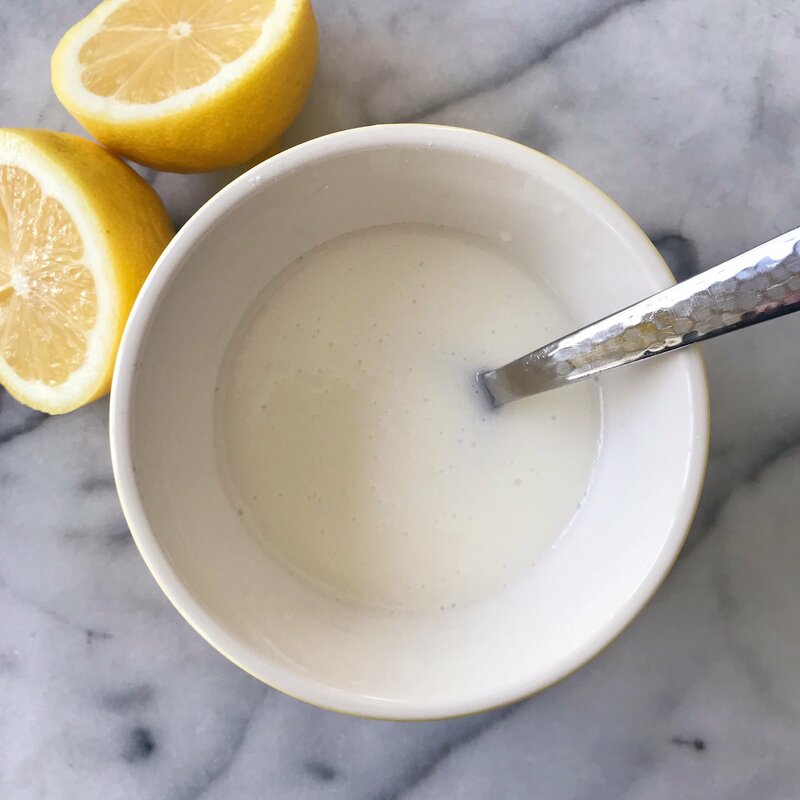 The light, soft and chewy, bursting with lemon and so yummy! 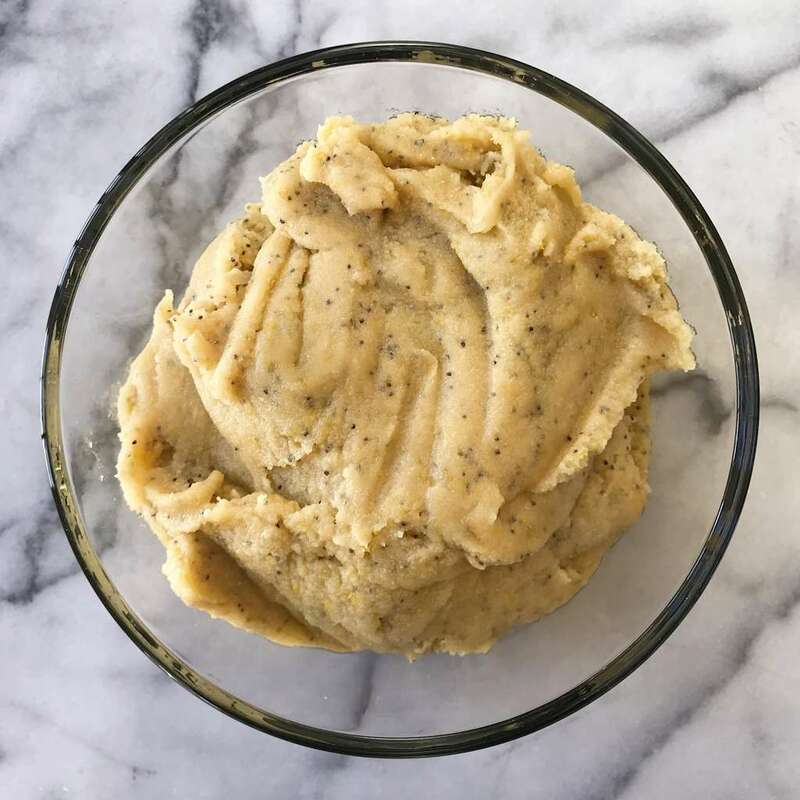 They delight taste buds everywhere and being Gluten-free, Grain-Free, Vegan and Paleo-friendly, they satisfy all sorts of dietary needs and preferences so are perfect for entertaining or bringing places. 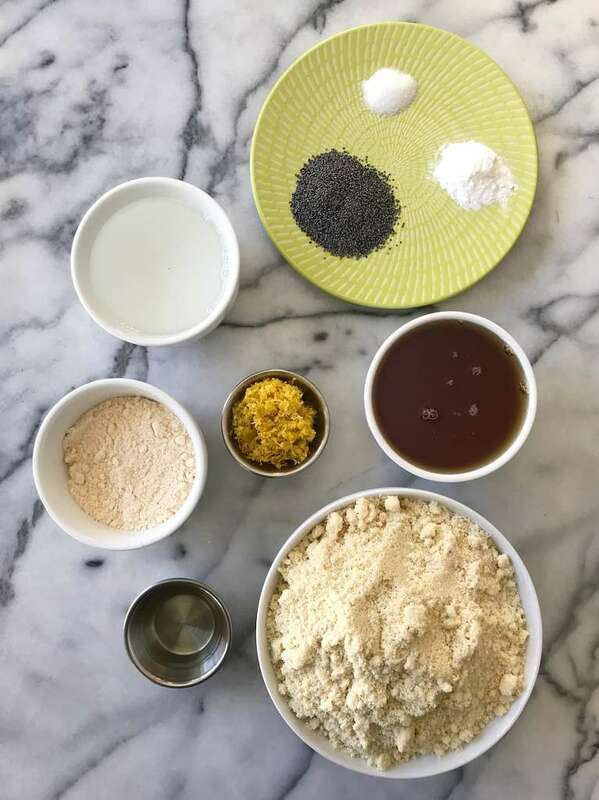 And they are super easy to make, requiring just 9 real, whole food ingredients: almond flour, coconut flour, coconut oil, maple syrup, lemon zest, lemon extract, poppy seeds, bakng soda, salt. 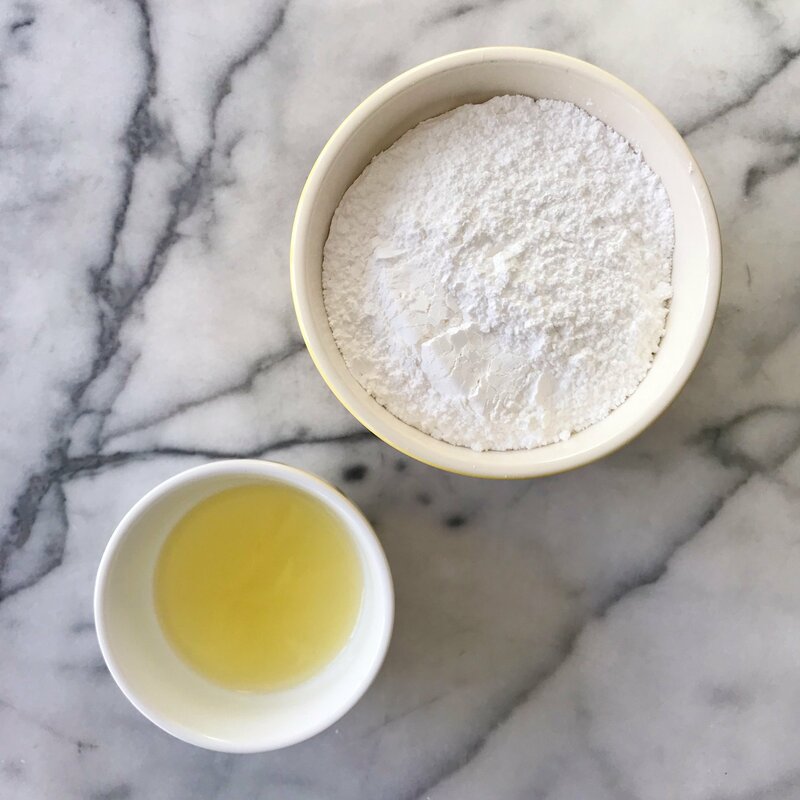 The batter comes together quickly, then needs to rest in the refrigerator for 30 minutes so build that into your planning. 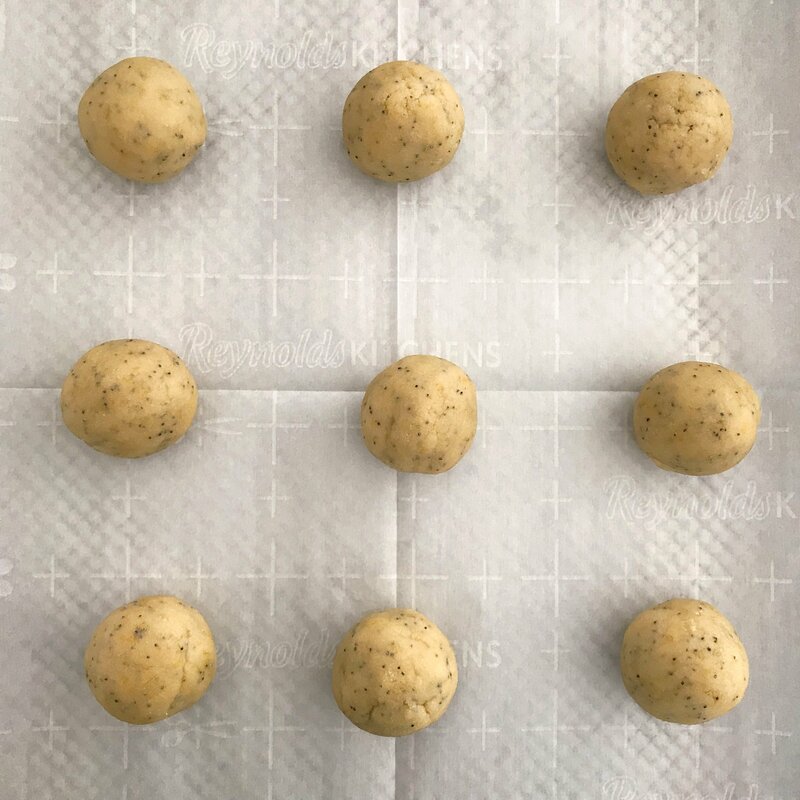 The you simply roll the dough into 18 balls, press the dough down slightly and bake! When done baking, they will be slightly browned on top, and the tops will crackle a bit. 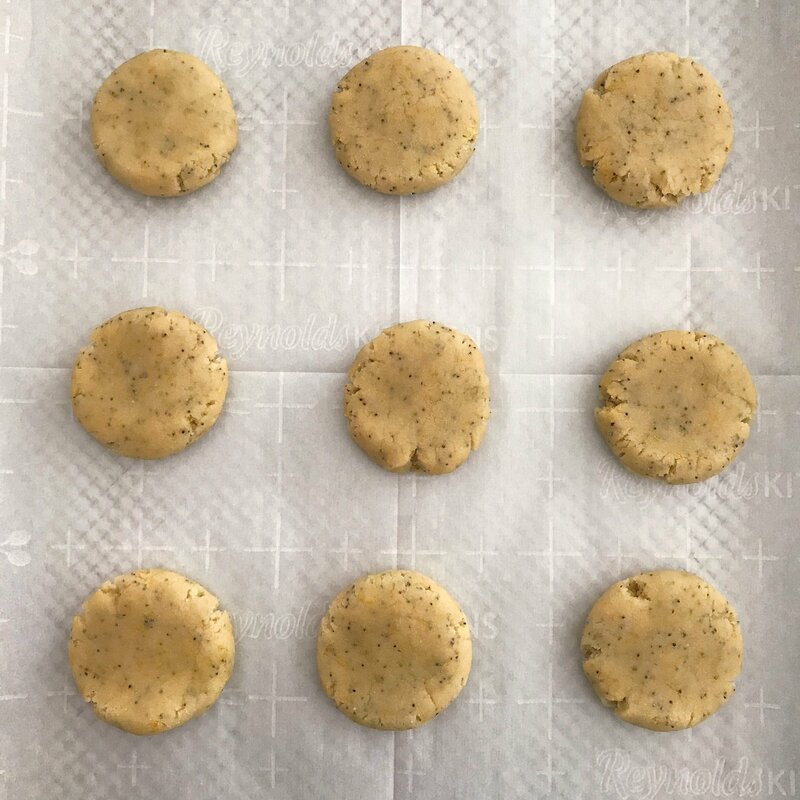 The cookies will be extra soft so be careful when you remove them from the oven and let them cool completely before glazing them. On the lemon glaze… The lemon glaze finishes them with a burst of sweet lemon! 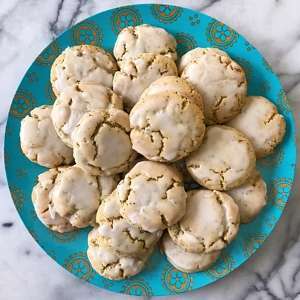 And it’s just 2 ingredients: Confectioners sugar and lemon juice. To keep paleo, skip this tangy lemon glaze. Dip the top of the baked and cooled (!) cookie in the glaze, swirl a bit to make sure it’s coated, lift up and swirl to stop any dripping. then place back on the baking sheet to cool. If you have a lot of crackles that weren’t filled with the glaze, feel free to add a bit more with a spoon. Recipe adapted from Texan Erin. 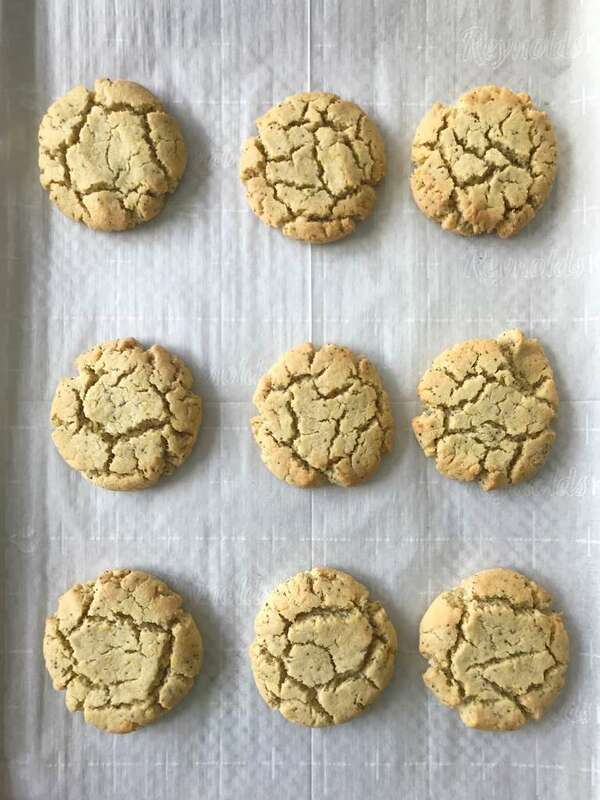 These soft and chewy cookies are light, have just the right amount of sweet and are bursting with lemon... a total crowd pleaser! And being Gluten-free, Grain-Free, Vegan and Paleo-friendly, they satisfy all sorts of dietary needs and preferences. Recipe adapted from Texan Erin. NOTE: Prep time includes letting the dough rest in the refrigerator for 30 minutes. 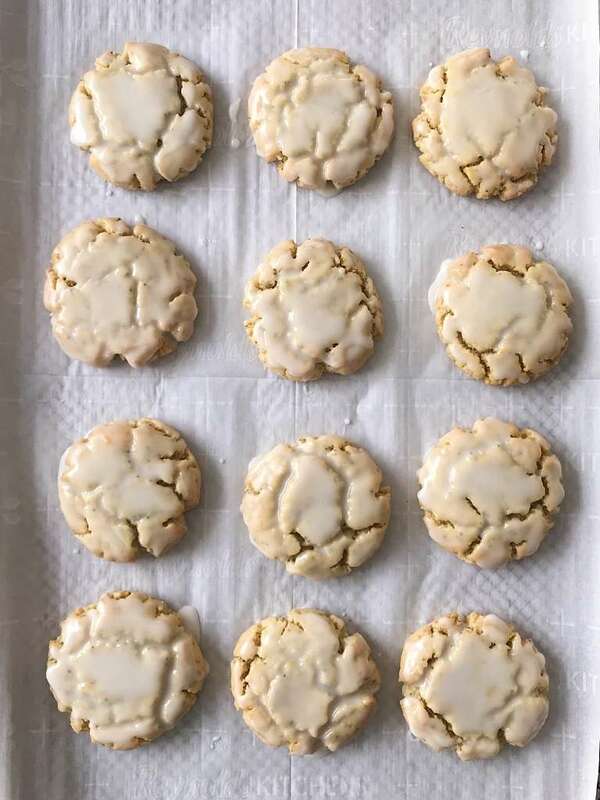 Bake cookies for 8-11 minutes or until the cookies have lightly browned. The cookies may crackle a little. 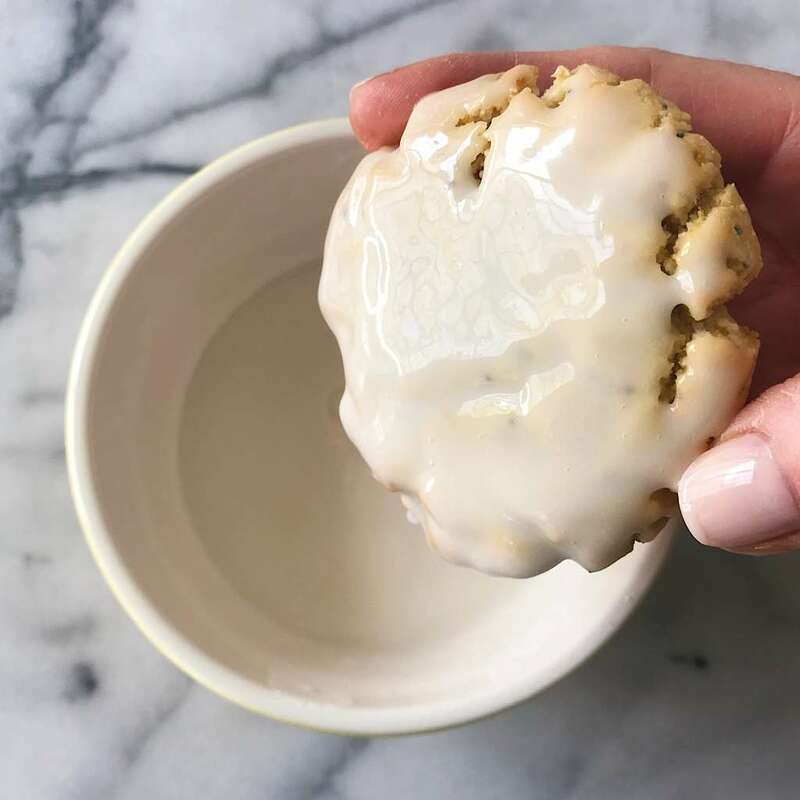 Hold the baked and cooled cookie upside down and dip it in the lemon glaze. Swirl to cover cookie top, pull up, let excess drip off and place on cookie sheet. If you have crackles that haven't been filled you can leave them or use a spoon and top with extra glaze. We love all of your dessert recipes! We are definately going to try these! Thank you so much! Can’t wait to hear what you think of these… they are one of my personal favorites! Let me know. Made these tonight – sooooo good! I have to stop my husband from eating all of them! But if you have any quick easy tips for zesting lemons, id love to know! Yay! So happy you love them as much as we do! As for zesting,I use a microplane and it goes pretty quickly. Can I skip the coconut flour? Hi. Great question! I wouldn’t skip it because it will completely change the texture of the cookie. Thanks for checking!